All the selected participants will be provided boarding & lodging in the institute premise on nominal charges (as mentioned in the table). No Travelling allowance will be paid by the Academy. Education plays a key role in the socio-economic development of a nation. Recent global scenario is indicative of the fact that education is a source of competitive advantage. India has emerged as a fast developing country and has identified certain priority areas for the overall growth. Enormous opportunities exist across all domains including education, healthcare, rural development and small and medium size business development. Realizing the benefits that education can bring to the country, several new institutions have been established in recent years to invest in the Indian human capital. Since ICT applications directly involve electronics resources, it is paramount to plan and implement scalable training programmes in niche areas of electronics and ICT for development of required knowledge base, skills and tools to unleash the talent of Indian population for contributing in two important missions - 'Digital India' and 'Make in India'. 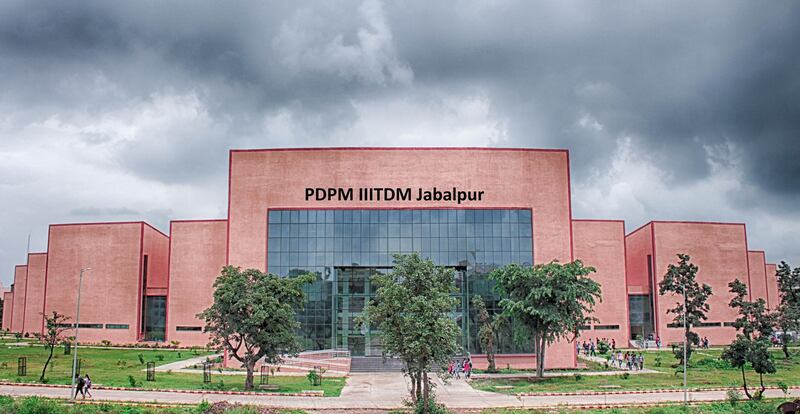 With these objectives, Department of Electronics and Information Technology, Government of India has instituted four Electronics and ICT Academies with one academy at IIITDM Jabalpur in partnership with IIITM Gwalior, MANIT Bhopal, and IIT Indore. The Academy aims at running training programmes for faculty, students and unemployed graduates in fundamental areas as well as on the cutting edge technologies. In addition, the Academy will conduct specialized / customized training programmes and research promotion workshops for corporate sector and educational institutions. It is envisaged that the Electronics and ICT Academy will become a central hub of activities on training, consultancy work and entrepreneurship programmes. In the year 2015-16, the Academy has planned short term training programmes on fundamental and advanced topics in IT, Electronics and Communication and Product Design and Manufacturing with hands on training and project work using latest software tools and systems. Fee for Participants from Industry will be based on the level of course. The demand draft of requisite fee in favor of “IIITDMJ-E&ICT ACADEMY” payable at Jabalpur. Registration fee can also be paid to account No. 50302042708 (Allahabad Bank, Mehgawan, IIITDM Branch, IFSC Code: ALLA0212433) by CASH/NET BANKING/NEFT.